Introduction: Having one of the numerous neurodegenerative disorders can be disheartening, difficult and life-threatening/ending; however, Parkinson’s remains in the forefront of treatment schemes and therapeutic options. We may have a slowly evolving disorder, yet I remain firmly entrenched both in striking back to try-to-slow its progression and in remaining hopeful that new advances are on the horizon to throttle-back its progression. Recently, several people have asked for an update on my strategy for treating Parkinson’s. My plan consists of (i) traditional Parkinson’s medication, (ii) supplemented by a complementary and alternative medicine (CAM) approach, and (iii) fueled by exercise. My philosophy is simple because I truly believe there are steps I can follow to remain as healthy as possible, which include having a positive mindset to support this effort, and to accept the axiom of the harder I try the better I’ll be. (5) Energy therapies include techniques such as Reiki and therapeutic touch. CAM and Parkinson’s: Published CAM clinical trial studies have yielded only a sliver of positive response to slowing the progression of Parkinson’s, several were halted due to no change compared to the placebo-control group. Regardless of these ‘failed’ studies, many have embraced a CAM-based approach to managing their disorder, including me. Please remember that I’m not a clinician, and I’m not trying to convince you to adopt my strategy. I am a biochemist trained in Hematology but I do read and ponder a lot, especially about Parkinson’s. We know a lot about Parkinson’s and we’re learning a lot about the molecular details to how it promotes the disease. There is not a cure although we have a growing array of drugs for therapeutic intervention. Without a cure, we look at the causes of Parkinson’s (see schematic below), we consider various CAM options, and we go from there (see schematic below). If you venture into adding to your portfolio of therapy, it is imperative you consult with your Neurologist/family medicine physician beforehand. Your combined new knowledge with their experience can team-up to make an informed decision about your herb, over-the-counter compound use and its potential benefit/risk ratio. A strategy for treating Parkinson’s: The treatment plan I follow uses traditional medical therapy, CAM (several mind-body/manual practices and numerous natural products) and the glue that ties it all together is exercise. Presented here is an overview of my medical therapy and CAM natural products. I only list the exercises I am using, not describe or defend them. Due to my own personal preference for the length of a blog post, I will return to them later this year and include an update of the mind-body/manual practices that I’m currently using. Please note that these views and opinions expressed here are my own. Content presented here is not meant as medical advice. Definitely consult with your physician before taking any type of supplements. The schematic below gives a ‘big-picture’ view of my treatment strategy. To some, my treatment plan may seem relatively conservative. It has been developed through conversations with my Neurologist and Internist. This was followed by studying the medical literature on what has worked in Parkinson’s treatment, the list of compounds to consider was defined/refined (actually, my choice of OTC compounds has been trimmed from several years ago). 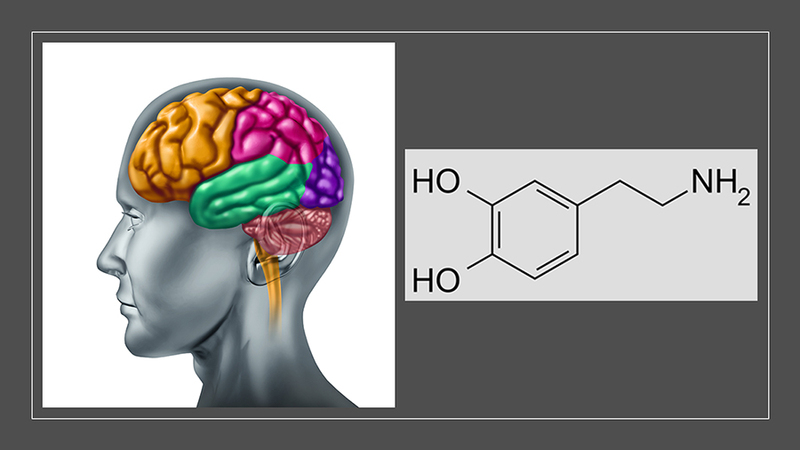 My CAM drug/vitamin/natural products strategy for treating Parkinson’s goes as follows: a) compounds (reportedly) able to penetrate the blood brain barrier; b) compounds (possibly) able to slow progression of the disorder; c) compounds that either are anti-oxidative or are anti-inflammatory; d) compounds that don’t adversely alter existing dopamine synthesis/activity; e) compounds that support overall body well-being; and f) compounds that support specific brain/nervous system health/nutrition. [Please consult with your physician before taking any type of supplements.] The Table below presents a detailed overview of my strategy for treating Parkinson’s. Note of caution: Most herbs and supplements have not been rigorously studied as safe and effective treatments for PD. The U.S. Food and Drug Administration (FDA) does not strictly regulate herbs and supplements; therefore, there is no guarantee of safety, strength or purity of supplements. [1.] Ahlskog JE. Cheaper, Simpler, and Better: Tips for Treating Seniors With Parkinson Disease. Mayo Clinic Proceedings. 2011;86(12):1211-6. doi: https://doi.org/10.4065/mcp.2011.0443. [2.] 1. Espay AJ, Lang AE. Common Myths in the Use of Levodopa in Parkinson Disease: When Clinical Trials Misinform Clinical Practice. JAMA Neurol. 2017. doi: 10.1001/jamaneurol.2017.0348. PubMed PMID: 28459962. An FDA-approved calcium-channel blocker (CCB) named Isradipine penetrates the blood brain barrier to block calcium channels and potentially preserve dopamine-making cells. Isradipine may slow the progression of Parkinson’s. The primary use of Isradipine is in hypertension; thus, to treat my pre-hypertension I switched from the diuretic Hydrochlorothiazide to the CCB Isradipine. A CCB is a more potent drug than a diuretic; importantly, my blood pressure is quite normal now and maybe I’m slowing the progression of my Parkinson’s. Please see this blog post for a review of Isradipine (click here). [Please consult with your physician before taking any type of new medication. Milk Thistle (Silybum Marianum, 300 mg daily) and its active substance Silymarin protects the liver. Dr. Jay Lombard in his book, The Brain Wellness Plan, recommends people with PD who take anti-Parkinson’s drugs (metabolized through the liver) to add 300 mg of Silymarin (standardized milk thistle extract) to their daily medication regime. Probiotic Complex with Acidophilus is a source of ‘friendly’ bacteria to contribute to a healthy GI tract. Vitamin D3 (5000 IU 3 times/week) is important for building strong bones. Now we also know that vitamin D3 is almost like ‘brain candy’ because it stimulates hundreds of brain genes, some of which are anti-inflammatory and some support nerve health (click here). Supplementation with vitamin D3 (1200 IU/day) for a year slowed the progression of a certain type of Parkinson’s (click here). Furthermore, augmentation with vitamin D3 was recently shown to slow cognitive issues in Parkinson’s (click here). NO LONGER TAKE Coenzyme Q10 (CoQ10), Creatine and Vitamin E because they did not delay the progression of Parkinson’s or they were harmful. Bega D, Zadikoff C. Complementary & alternative management of Parkinson’s disease: an evidence-based review of eastern influenced practices. J Mov Disord. 2014;7(2):57-66. doi: 10.14802/jmd.14009. PubMed PMID: 25360229; PMCID: PMC4213533. Bega D, Gonzalez-Latapi P, Zadikoff C, Simuni T. A Review of the Clinical Evidence for Complementary and Alternative Therapies in Parkinson’s Disease. Current Treatment Options in Neurology. 2014;16(10):314. doi: 10.1007/s11940-014-0314-5. Ghaffari BD, Kluger B. Mechanisms for alternative treatments in Parkinson’s disease: acupuncture, tai chi, and other treatments. Curr Neurol Neurosci Rep. 2014;14(6):451. doi: 10.1007/s11910-014-0451-y. PubMed PMID: 24760476. Kim HJ, Jeon B, Chung SJ. Professional ethics in complementary and alternative medicines in management of Parkinson’s disease. J Parkinsons Dis. 2016;6(4):675-83. doi: 10.3233/JPD-160890. PubMed PMID: 27589539; PMCID: PMC5088405. Kim TH, Cho KH, Jung WS, Lee MS. Herbal medicines for Parkinson’s disease: a systematic review of randomized controlled trials. PLoS One. 2012;7(5):e35695. doi: 10.1371/journal.pone.0035695. PubMed PMID: 22615738; PMCID: PMC3352906. Wang Y, Xie CL, Wang WW, Lu L, Fu DL, Wang XT, Zheng GQ. Epidemiology of complementary and alternative medicine use in patients with Parkinson’s disease. J Clin Neurosci. 2013;20(8):1062-7. doi: 10.1016/j.jocn.2012.10.022. PubMed PMID: 23815871. Please stay focused on dealing with your disorder. Please learn as much as you can about Parkinson’s. Please work with your neurologist to devise your own treatment strategy. Please stretch and exercise on a daily basis, it will make a difference. Please be involved in your own disorder; it matters that you are proactive for you. Please stay positive and focused as you deal with this slowly evolving disease. Please stay hopeful you can mount a challenge to slow the progression. Please remain persistent; every morning your battle renews and you must be prepared.